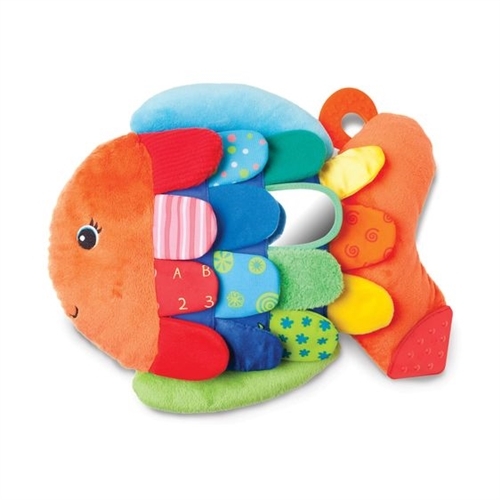 Flip Fish Scaly Baby Toy! Flip Fish, with its colorful, flipable scales, invites baby to touch, grab, and flip the scales, and in the middle is a reflective scale for baby to see her reflection! 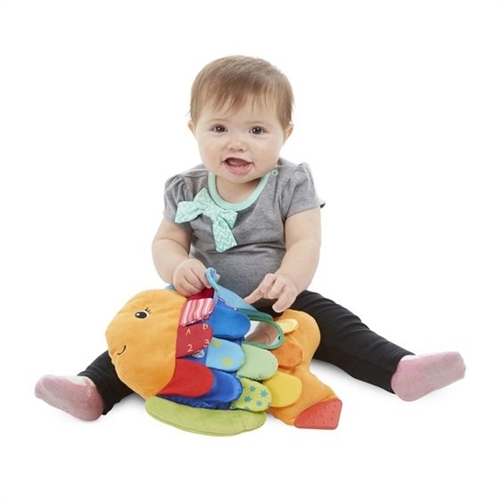 A great developmental toy.